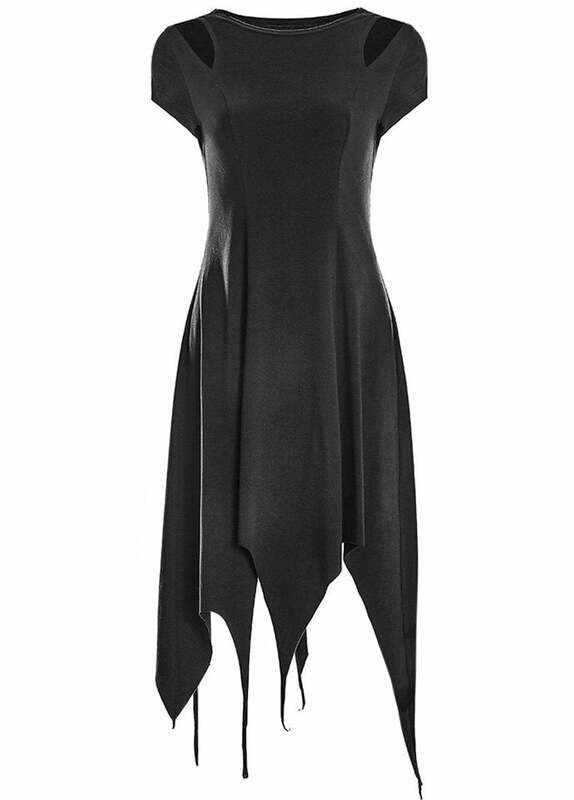 Punk Rave’s Suspiria Dress is a comfy cotton short sleeved dress. 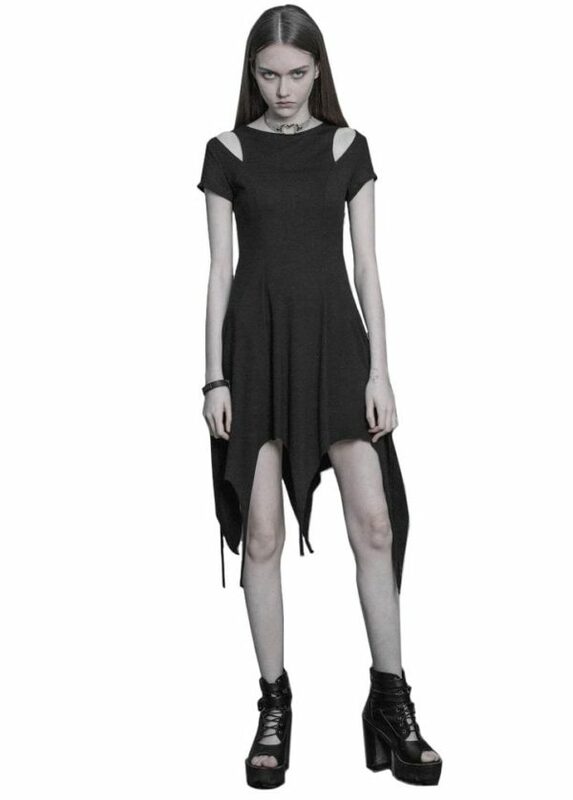 The alternative dress has a scoop neck with cut out shoulders and a witchy irregular pointed hem. 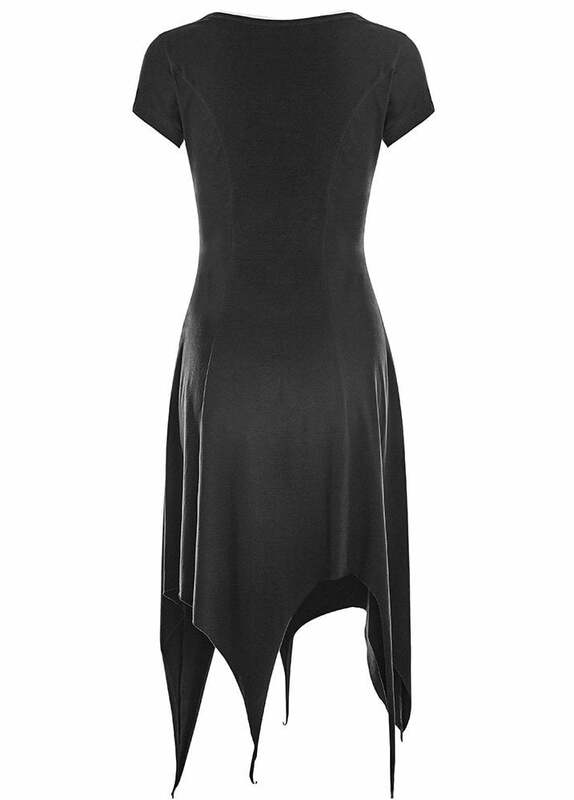 Purchase this product now and earn 47 - 47 Points!